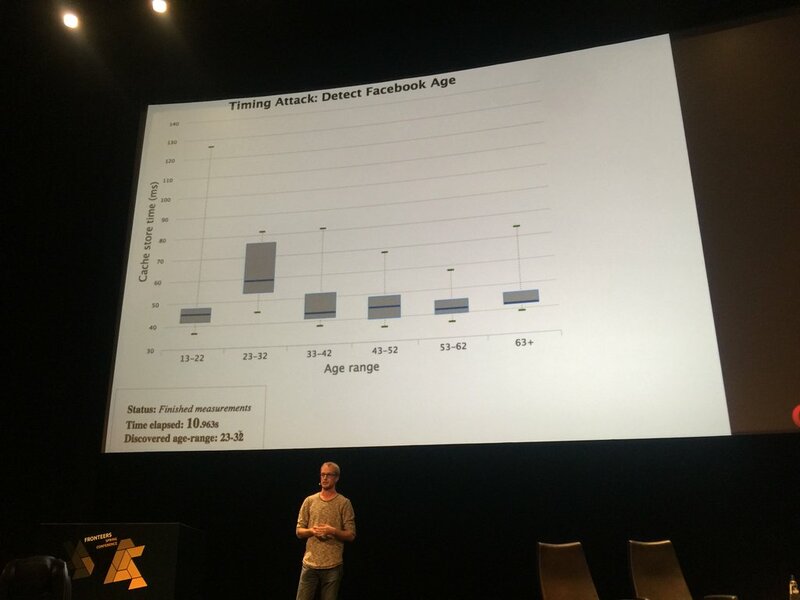 The mentioned Facebook timing attack – by which you can get to know private data (such as age, gender, etc.) of a user – was discovered by Tom Van Goethem, a former student of mine. Feel free to read his academic paper “The Clock is Still Ticking: Timing Attacks in the Modern Web” covering the topic.